The Sky Grand Prix of Aerobatics takes place on the 28 May at Greyville racecourse. The Aerobatic flying will occur at Greyville Racecourse over the lush playing greens of Royal Durban Golf course and will feature ten of the Worlds most experienced aerobatic pilots. There will be loads of action for the public to be enthralled and entertained for the whole day and the only way you will be able to see the intense action will be up close and personal. Make it a family outing and if you are running the Comrades Marathon on Sunday, use this event to relax and chill before you embark on the gruelling trek on Sunday morning. Durban's very own Charmaine Gumede will also be adding some local flavour to the commentary box, as she will be assisting from time to time with Zulu language commentary. Not content to sit around and wait for opportunities, this single mother of three who resides in Kwa-Mashu grabs every opportunity she can to improve her career and lifestyle. Incidentally Zulu means Sky or Heaven. Charmaine who is employed as an Admin Officer at I.G.S Investigation & Guarding Services started out as a security guard. Whilst working in the VIP tent at an air show in 2012 she was spotted by the organisers who saw potential in her to provide Zulu commentary at events. A series of events were moving around KZN at the time, which was also staged, in rural areas of which her home language was a great asset. This led to her commentating at numerous events in 2012 and 2013. 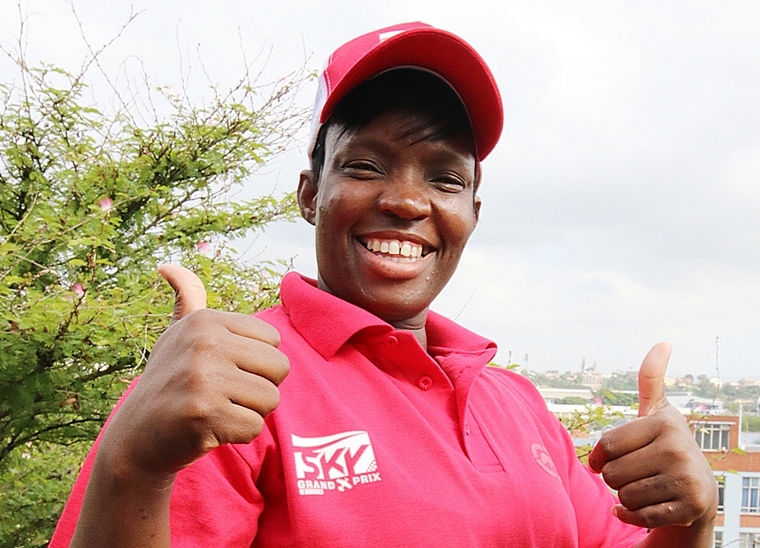 "It is a great opportunity for an African Woman to get this experience, I have a great passion for Aviation and for commentating and what a privilege and honour to be able to commentate at the Sky Grand Prix, In Kwa-Mashu we have a lot of problems with unemployment, drugs and crime and I want to be an ambassador to my town and show women and the youth that they can achieve their goals and dreams if they work hard". Comments Charmaine. She is keen to help educate the youth about aviation and enjoys imparting her knowledge to the younger generation, which includes her own children who share her enthusiasm about flying and the many career opportunities that can arise out of the industry. The Sky Grand Prix is an excellent opportunity for the youth to see the top pilots in action and enthuse their appetites about aviation. The major subjects required for learning to fly are Maths and Physical Science, so to anyone wishing to be a pilot you need to study hard and focus on those subjects. To keep you further entertained the Airwaves will come alive for the event with International commentator Mike Galloway (USA) commanding the commentary box with assistance from our very own Horse Racing legend Kevin Shea. Mike got his start in the world of aerobatics back in 1996. Since then he has travelled the globe as a pilot, judge and commentator in some of the sports largest venues. 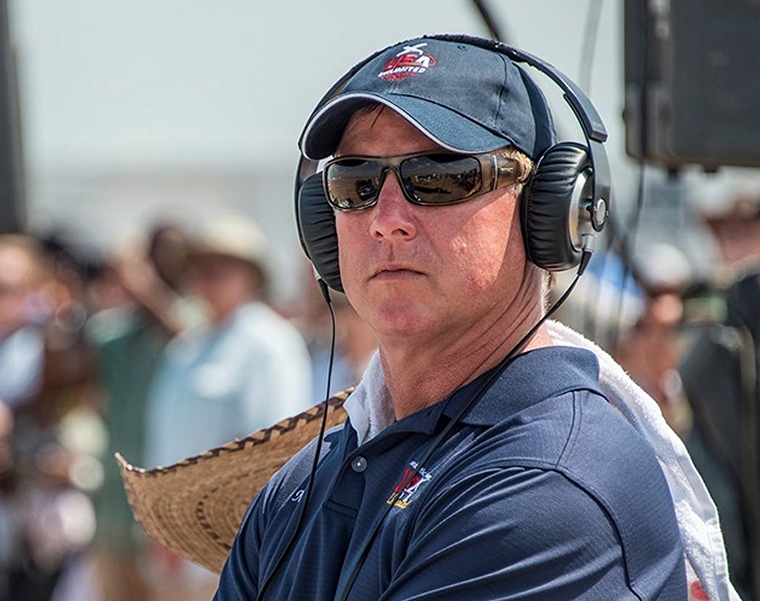 Mike is an accomplished aerobatic pilot in his own right; he is a current member of the United States aerobatic team and flew for his country last year at the World Championships in France. Mike became an international judge in 2010 and earned a spot on the judging line at the 2011 and 2013 World Aerobatic Championships. Mike comments, "I am thrilled to be part of the second Sky Grand Prix in South Africa. I had the pleasure of calling the action back in 2014, and really look forward to the event this year. South Africa, and in particular Sky Grand Prix, exceeded all my expectations. The unique concept really challenges the pilots, and with CIVA officials grading the manoeuvres, the pilots must pay close attention to detail. This really creates drama, as the race is both a function of speed and precision. The venue this year is spectacular, and the pilots participating are the best in the world, this is truly going to be a must see event." This event will be held in conjunction with the Annual Daily News 2000 horserace. The event is a Federation Aeronautique Internationale (FAI), FAI Aerobatics Commission (CIVA) internationally sanctioned event and is sanctioned locally by the Sport Acrobatic Club (SAC) and the Recreational Aviation Administration of South Africa. (RAASA). This event will be held in conjunction with the Annual Daily News 2000 horserace, The Daily News 2000 Racemeeting commences with the first race off at 13:55 and entrance to the races will be FREE from 13:00. Cost to enter Greyville Racecourse on the day will be R220 for adults and R50 for children under 12. Tickets are on sale at computicket. You can also spoil yourself and your guests with our VIP Package, which includes your entry ticket, bars, banqueting and you can watch the incredible acrobatic flying from the fully air-conditioned roof top venue at Greyville Race Course all for only R600 per person. Tickets for this package can be obtained by contacting Kirsty Newton at the Greyville Convention Centre on 031 309 1430 or email Kirsty@greyville.durban . For further event enquiries contact Vivienne Holden Event Management & Stakeholder Liaison SGP, email topnotch079@gmail.com Mobile Number: 082 8825056.